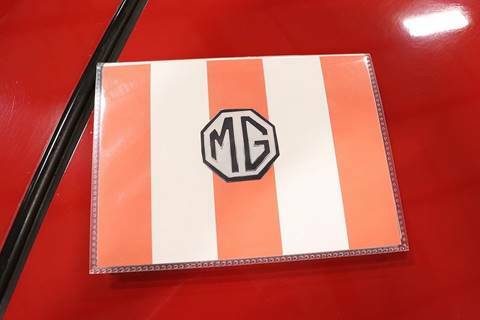 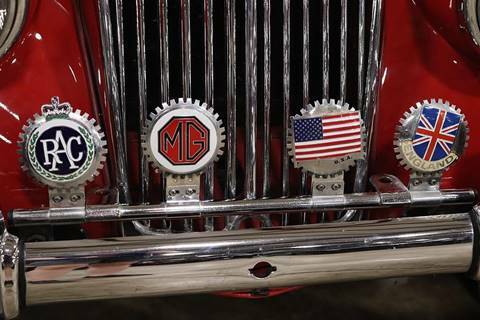 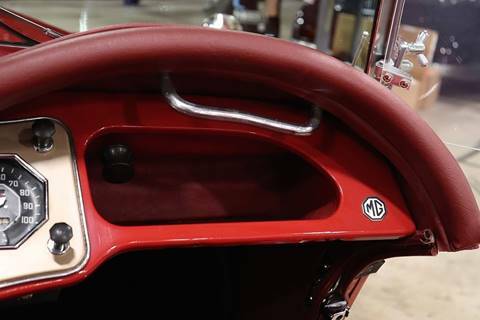 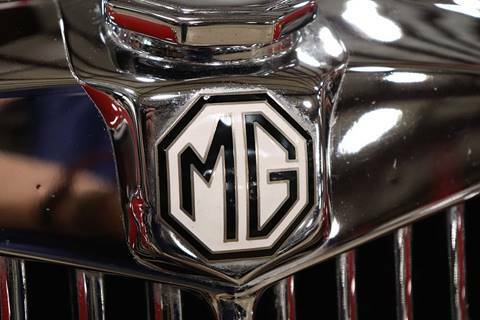 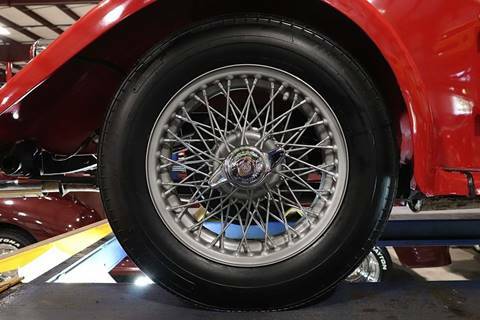 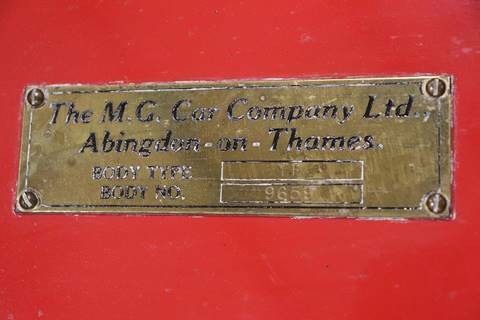 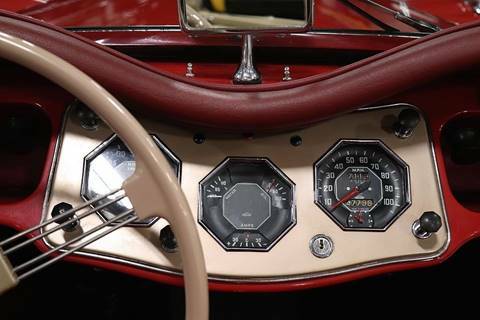 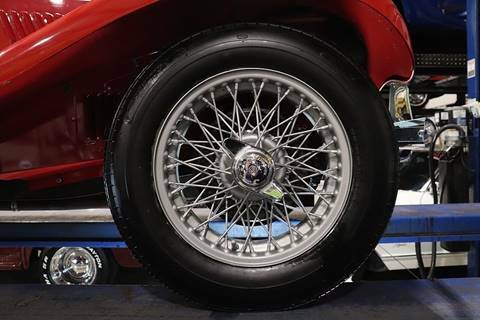 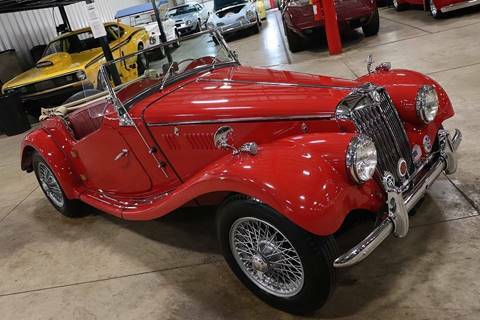 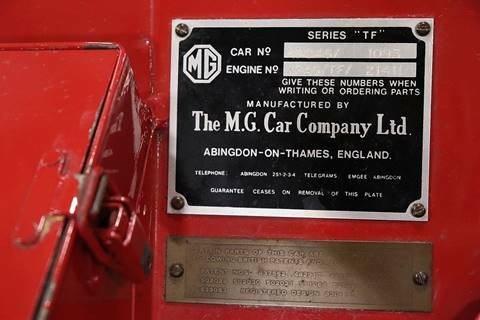 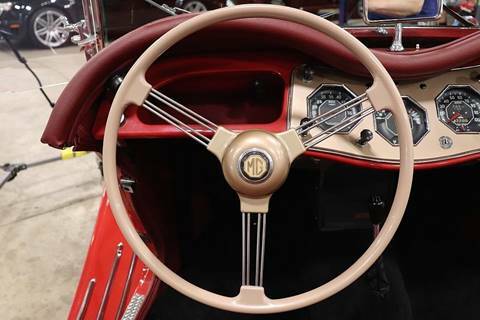 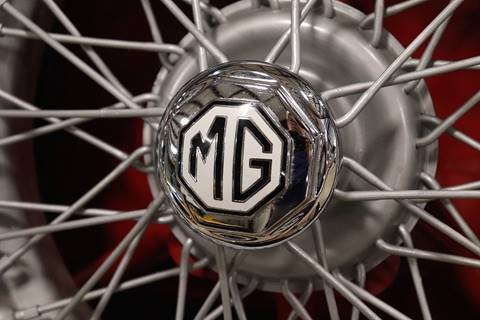 The MG TF was an updated TD that hit the market in 1953. 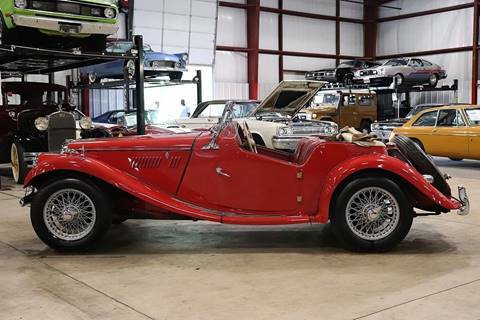 Key features included updated mechanicals, faried headlights, sloping radiator grill and a new pressurized cooling system. 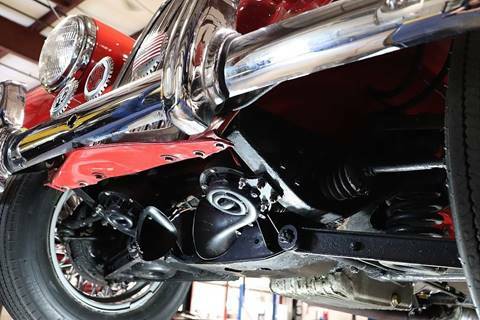 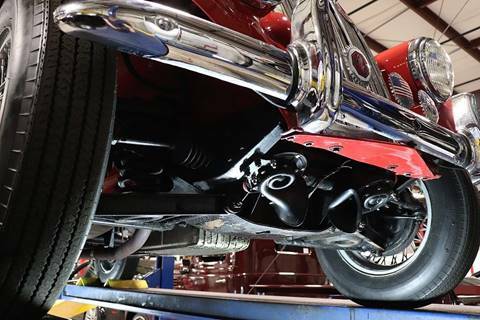 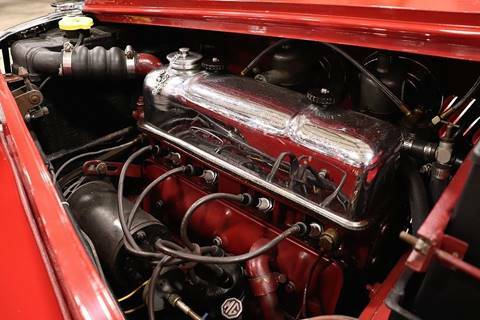 An improved 8.1:1 compression ratio, stronger valve springs and larger carburettors increased. 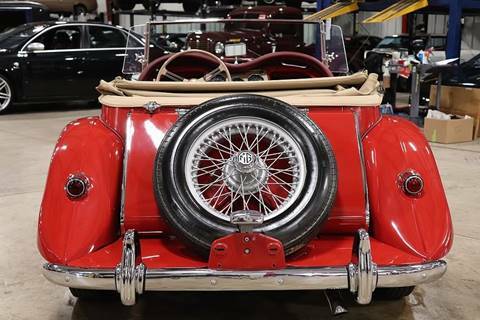 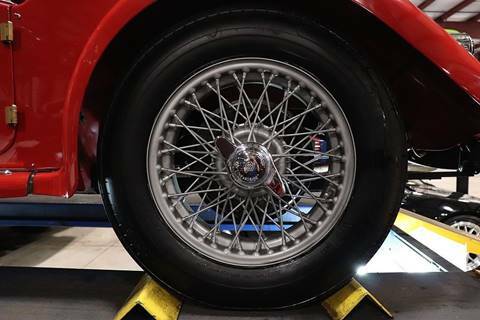 Production was suspended in 1955 after 13,000 TFs had been produced. 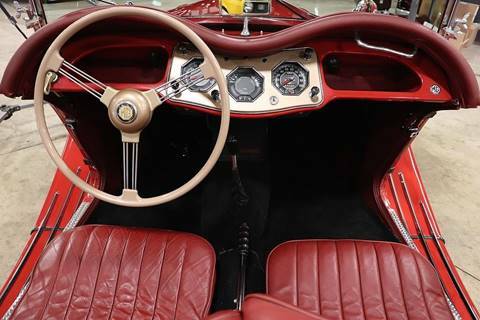 GR Auto Gallery is pleased to present this stunning 1954 TF for your consideration. 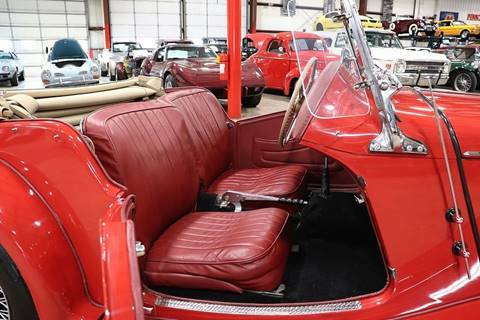 Finished in classic red, this car is in stunning shape. 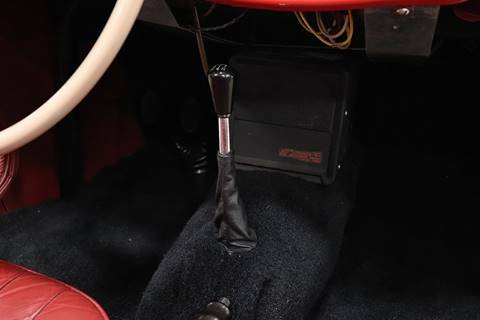 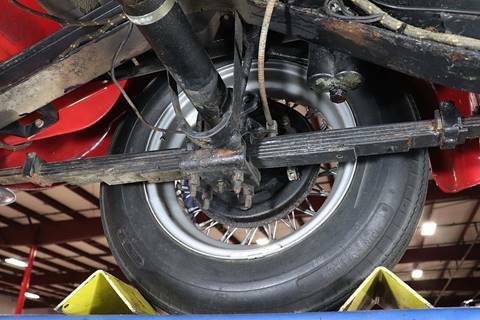 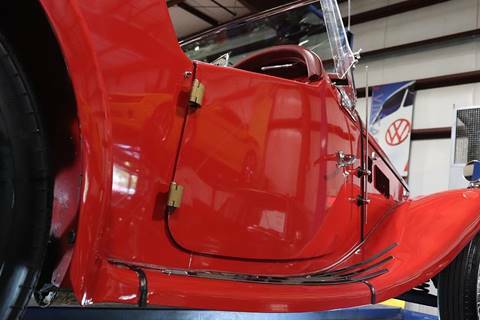 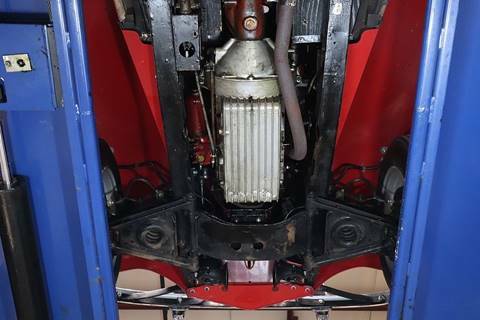 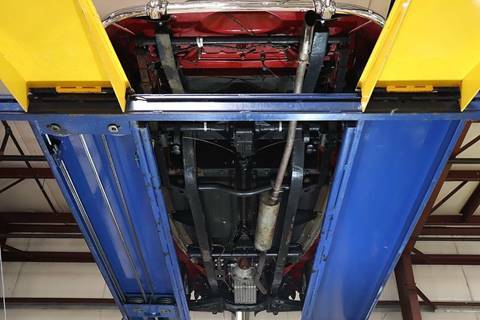 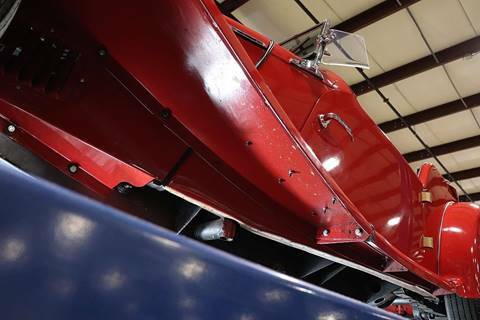 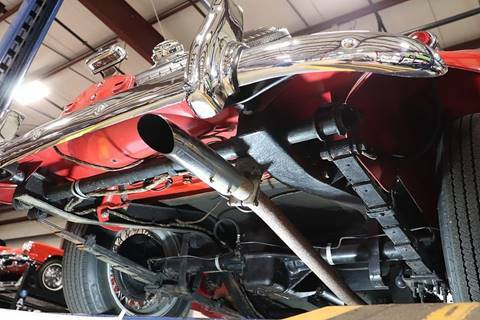 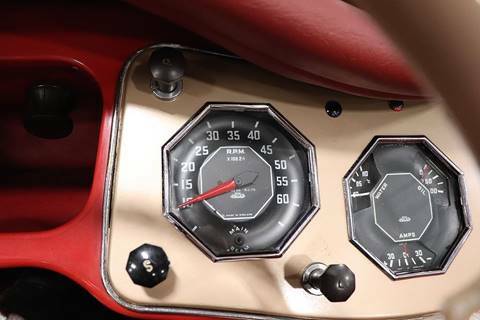 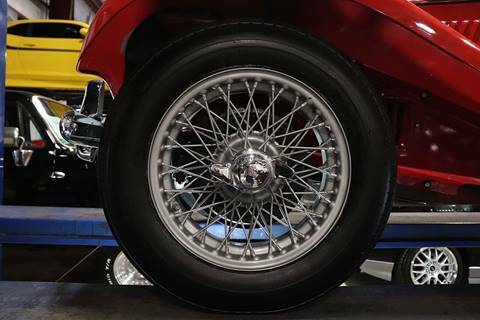 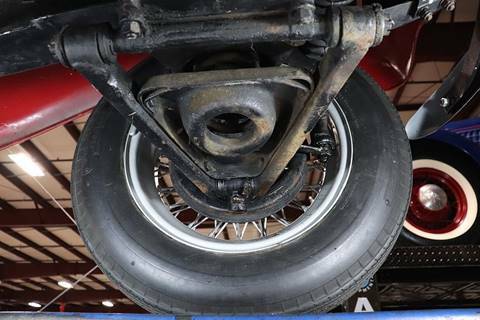 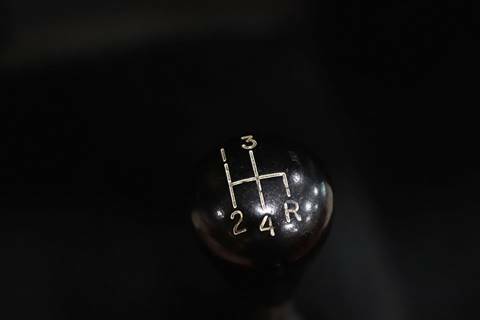 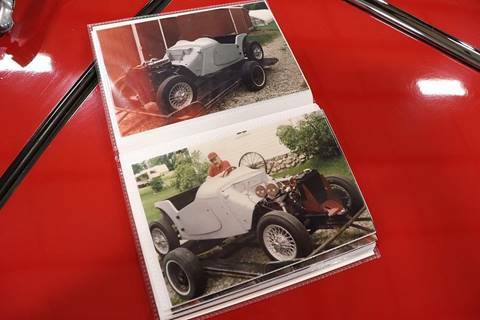 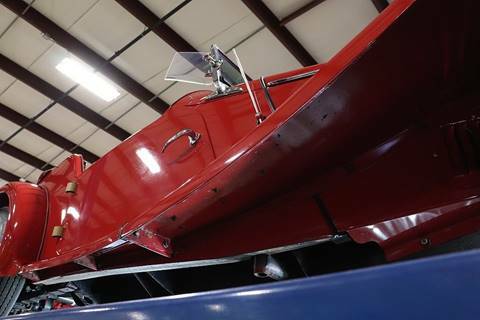 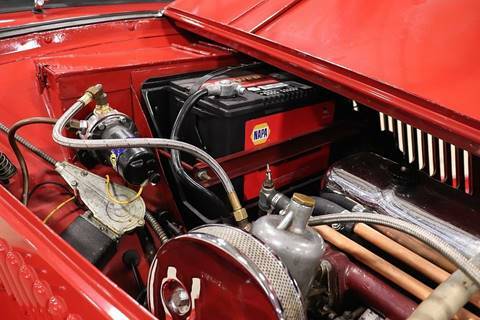 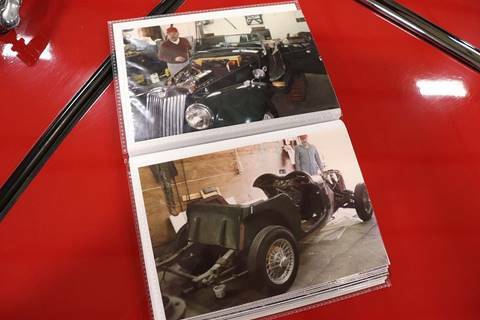 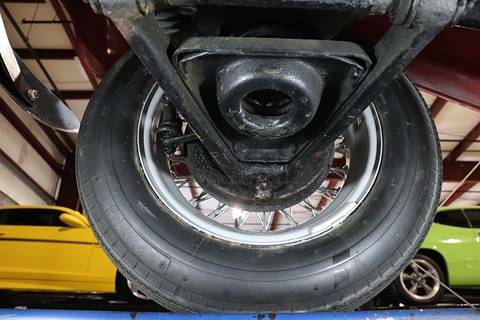 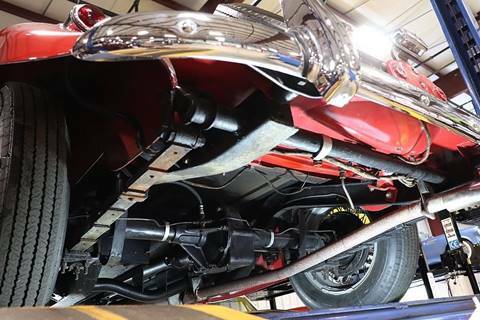 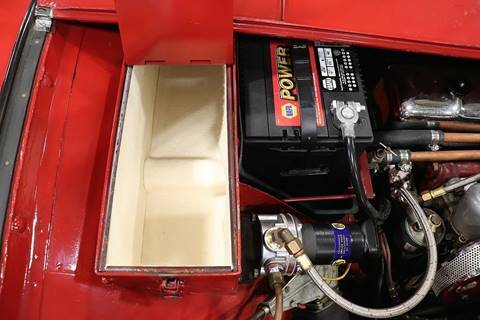 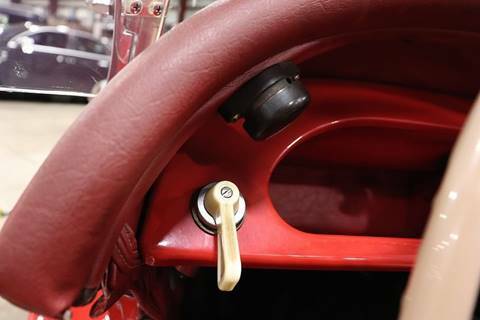 It has been with the current family for the last 46 years and the primary owner was a former aircraft mechanic who restored the car to the condition its in today. 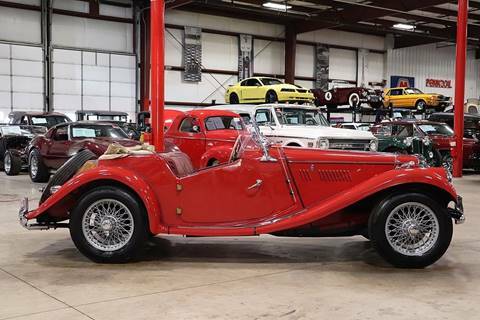 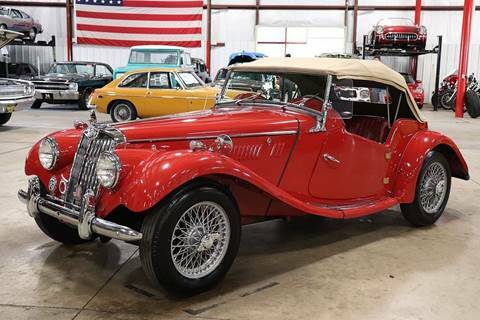 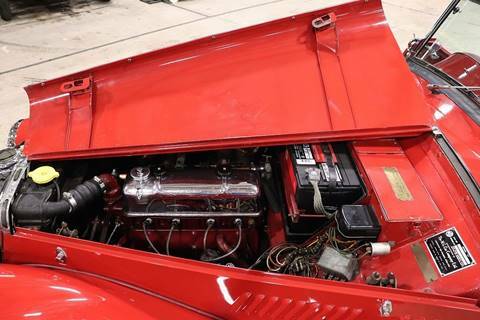 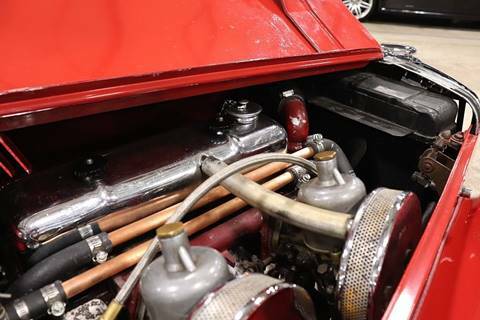 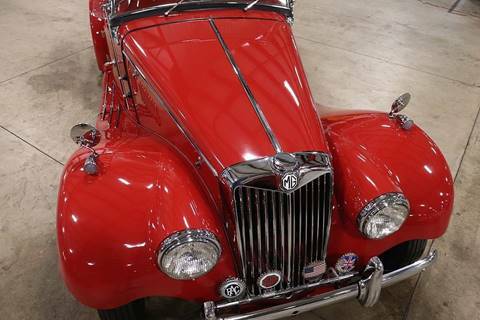 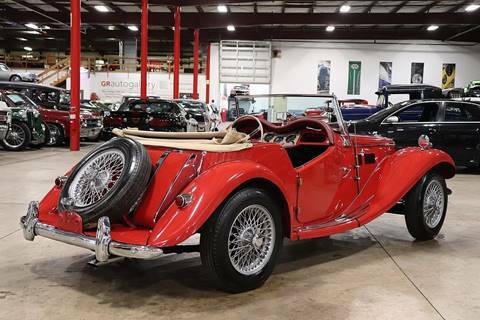 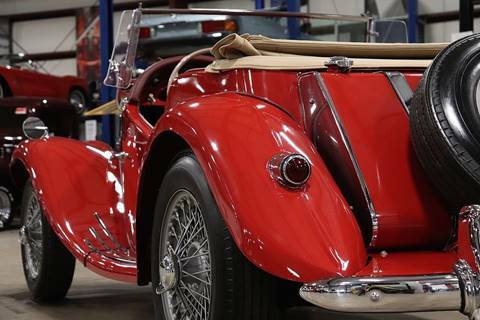 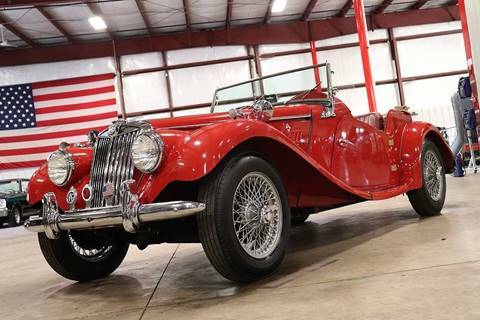 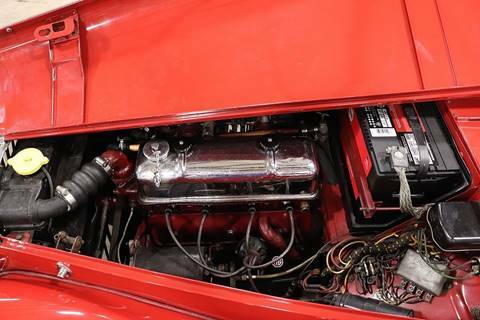 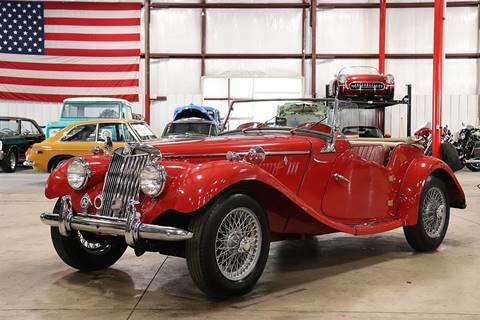 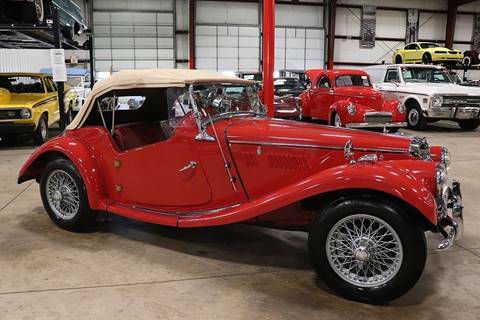 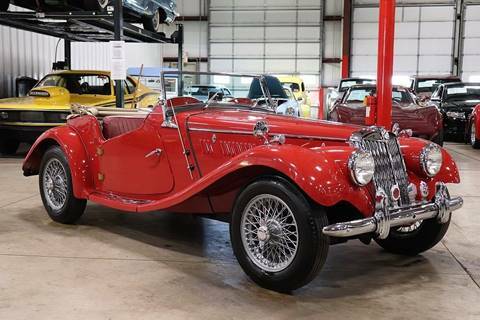 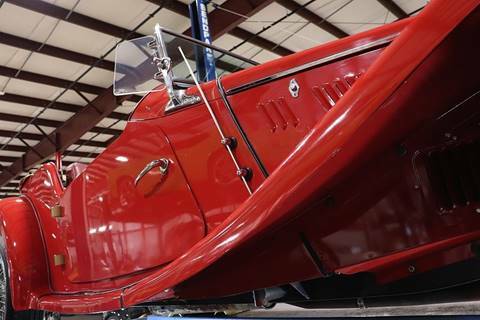 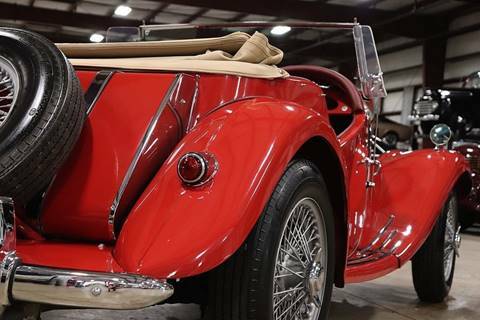 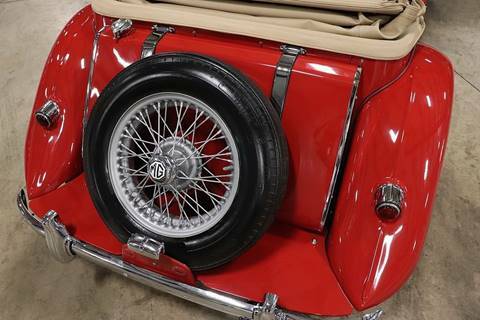 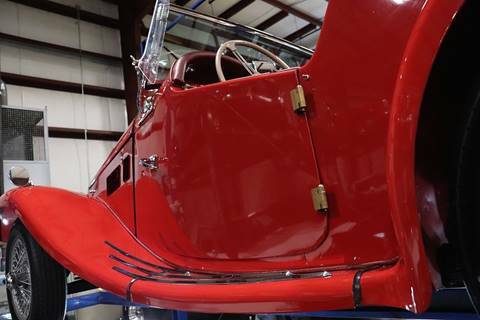 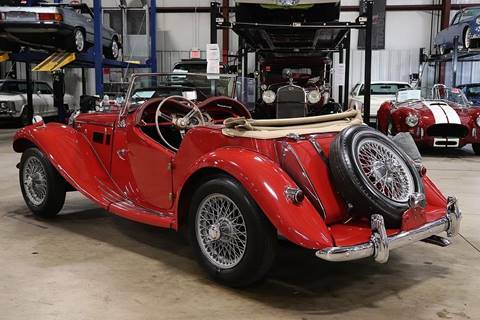 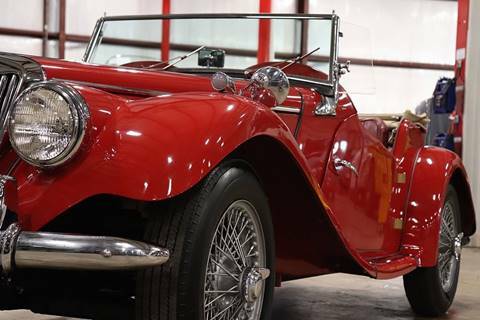 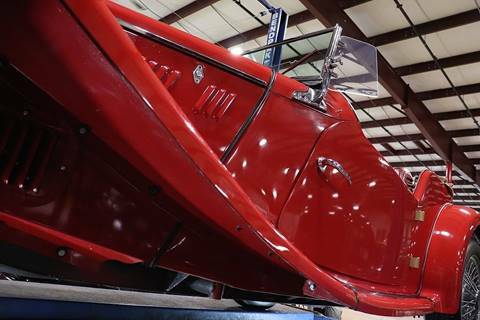 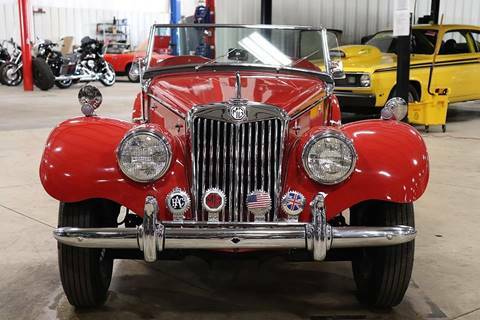 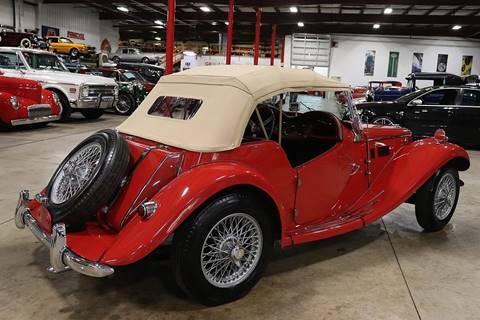 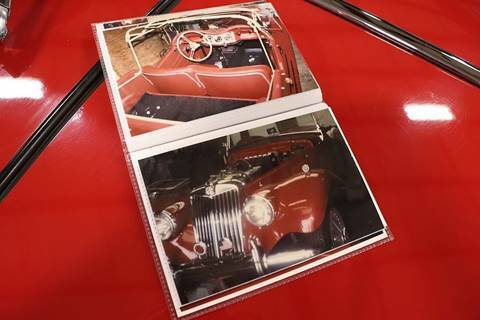 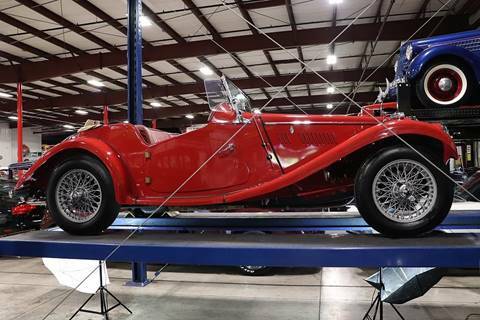 The red body is stunning, from its excellent paint and chrome, excellent tan soft top, wire wheels, and classic radiator grill with extra badging. 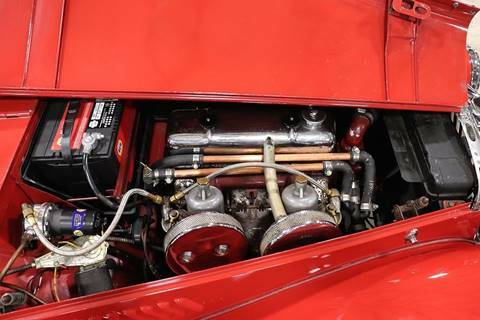 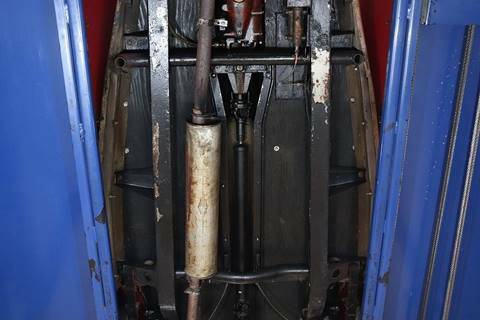 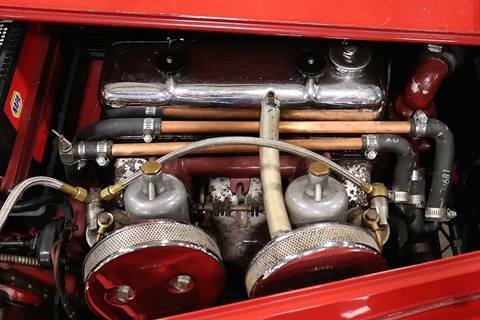 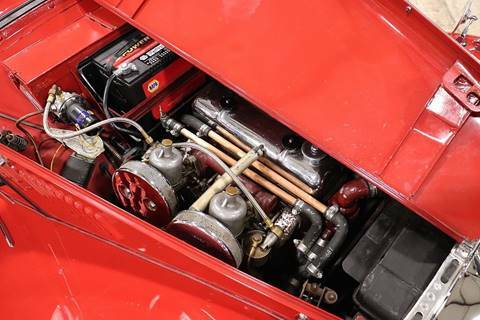 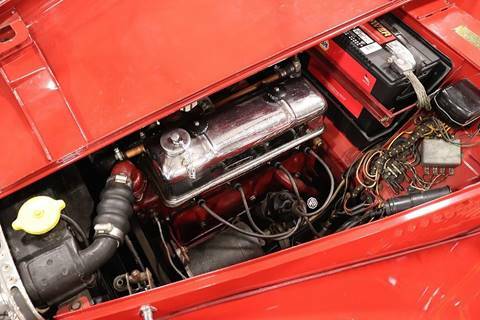 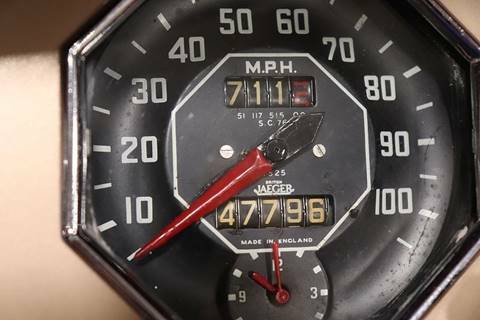 The engine is a numbers matching 1,250cc 4 cylinder and is said to have been rebuilt in 1990. 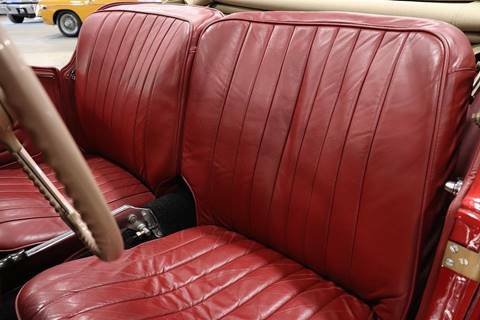 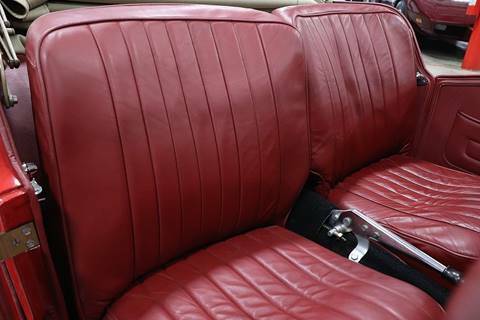 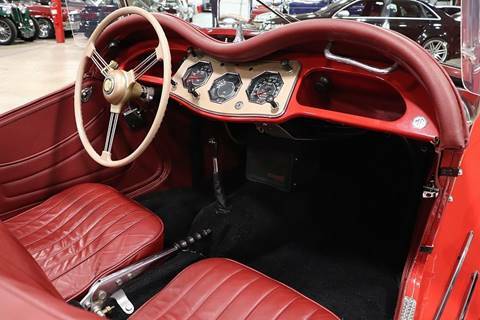 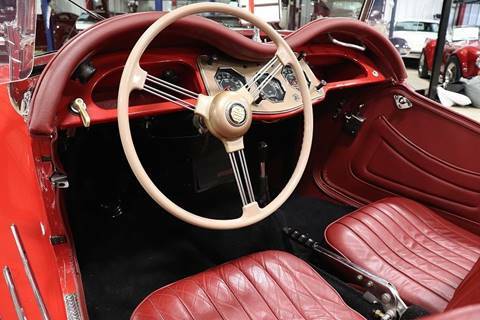 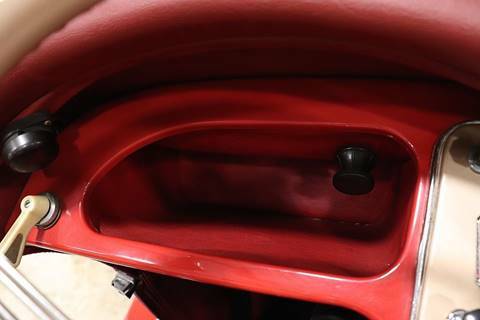 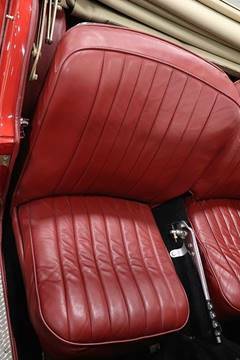 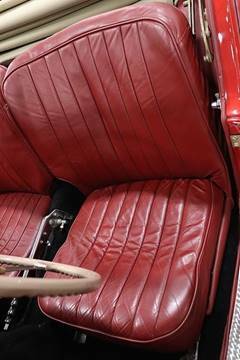 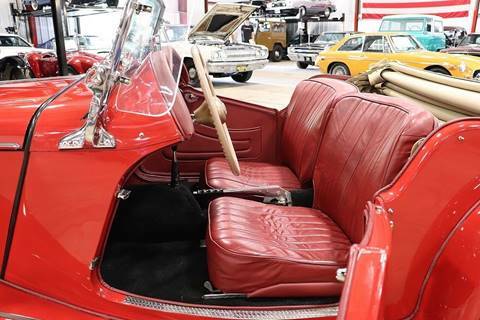 The interior features excellent red leather seats and a clean dashboard. 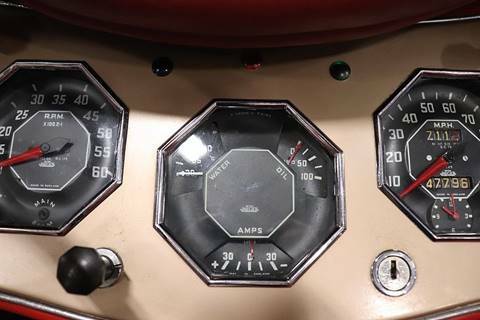 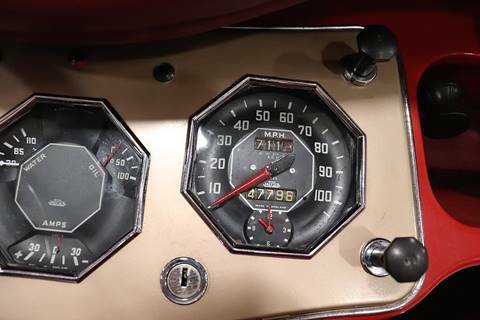 The instrumentation is very clean and looks great. 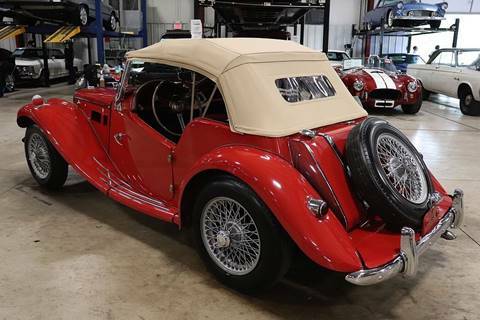 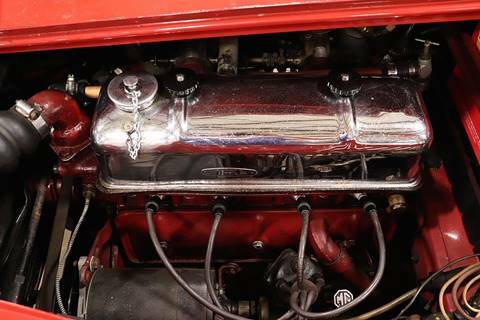 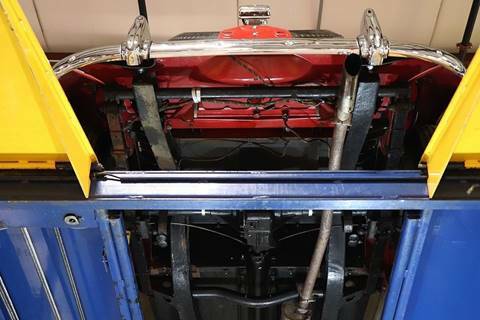 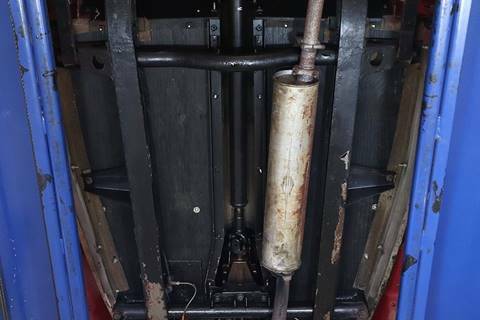 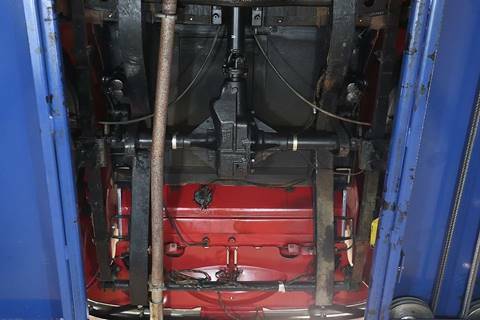 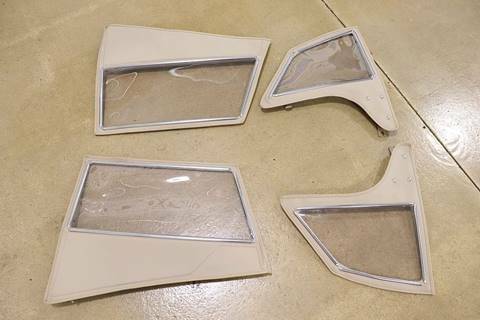 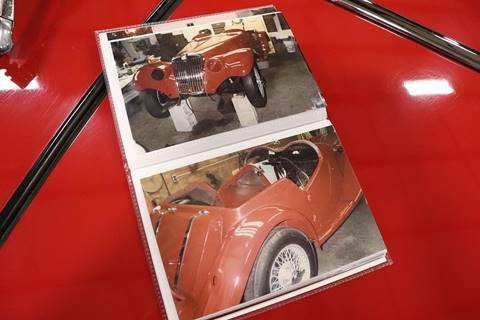 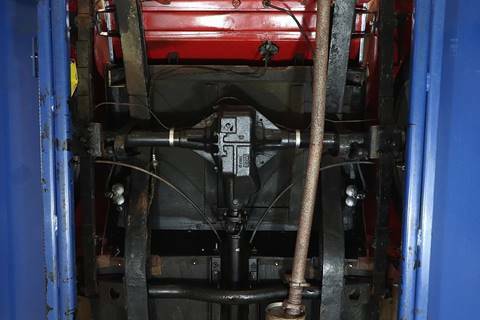 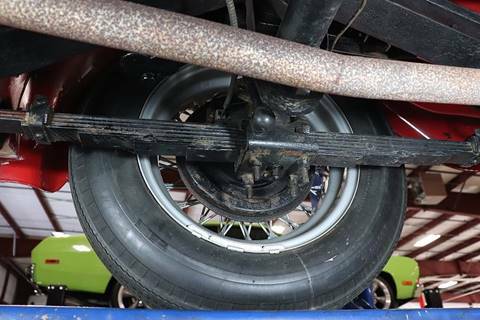 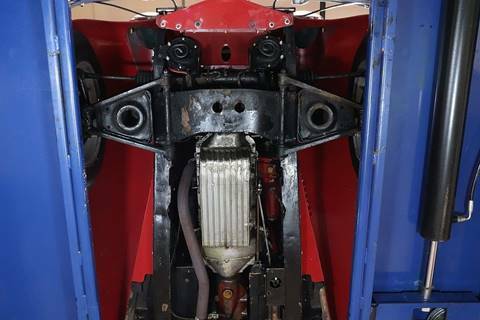 This TF is one of the nicest examples we have seen and the restoration was very thorough. 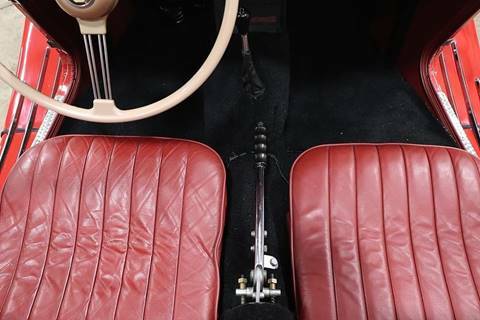 The car has been treated with kindness the last 46 years and is a joy to drive. 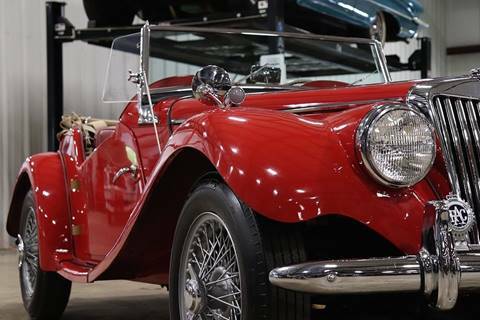 It's always been garaged and never even driven in the rain since its restoration. 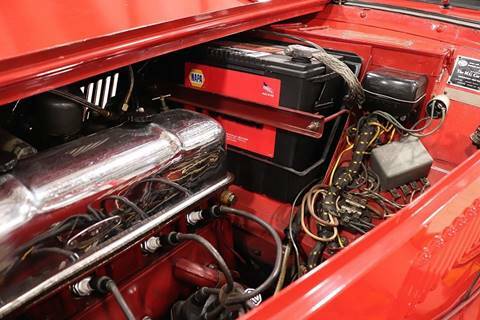 Everything is in tip top condition. 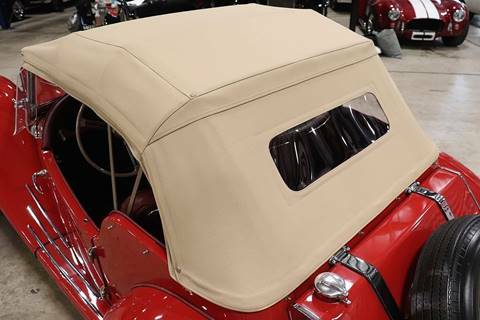 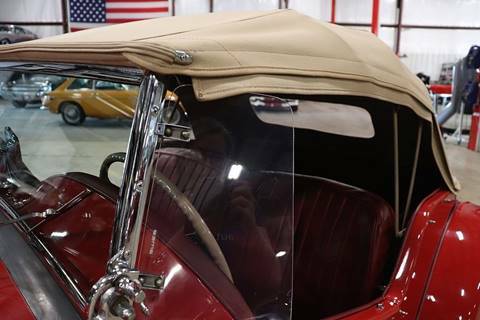 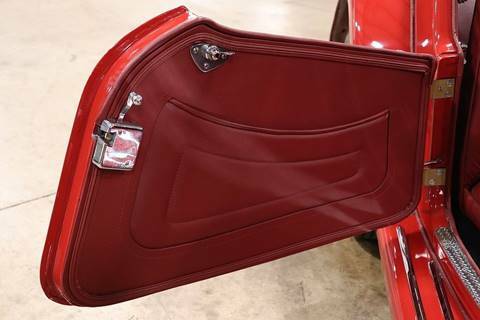 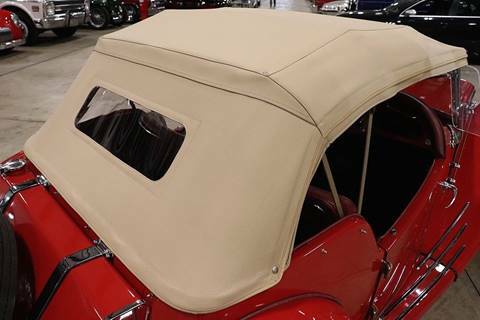 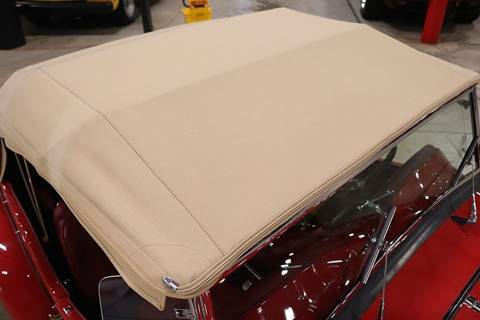 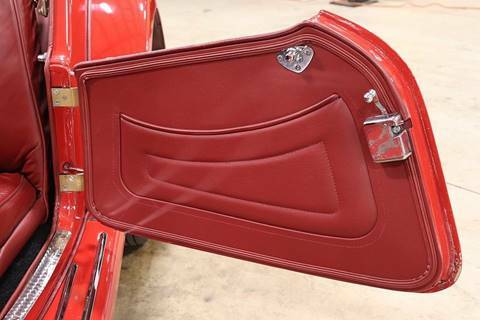 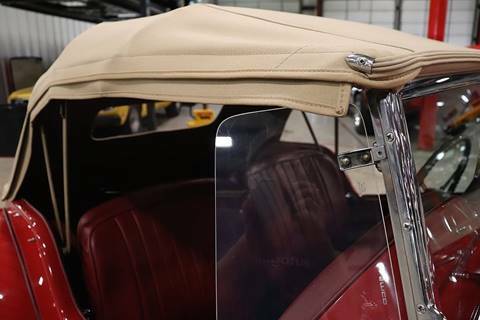 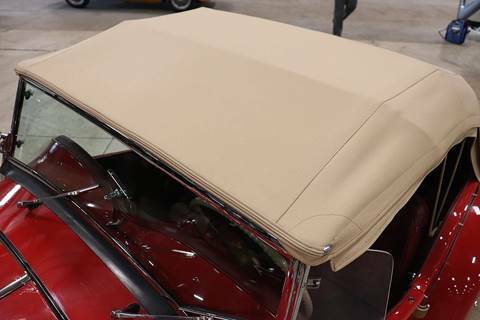 The soft top comes with the side curtains and it even has two keys.